"If everyone is thinking alike, then somebody isn't thinking." - George S. Patton, Jr.
Robert is a Partner in the Firm's Tampa office and a member of the Litigation Practice Group and Emerging Industries Team. Robert is focused on business litigation, commercial disputes, professional liability defense and cyber law. He has litigated contract disputes, products liability claims, legal malpractice lawsuits, unfair trade practices, employment agreements, shareholder disputes, restrictive covenants, healthcare matters, insurance professional malpractice, and business torts. He handles matters that affect companies and consumers interacting through the Internet, such as online contracts, service and user agreements, social media, cybersecurity, cyber-insurance products and e-discovery. His clients cover a broad scope of industries, including banking, entertainment, healthcare, insurance and technology. With a reputation for championing innovation and creativity, he seeks to provide his clients with 21st century legal services that continuously evolve to keep pace with the ever changing business landscape. Robert is an IAPP US-law certified privacy professional and advises businesses on cyber security and data privacy issues. In addition to speaking engagements, Robert has written articles analyzing the evolution of cyber law, cybersecurity, and emerging technologies. He also hosts a cyber law blog at techlawX.com. Prior to joining Freeborn, Robert worked at Phelps Dunbar LLP and served as a military intelligence analyst with the United States Army. Defended law firm involved in cybersecurity incident that resulted in client making claims against the law firm. Represented professional in insurance coverage action where insurer denied coverage for cybersecurity incident. Handled various matters involving cyber related issues, such as hacking, spoofing, social media, online applications, cyber insurance, e-contracts, and e-discovery. Pursued breach of contract claims on behalf of financial advisory firm with favorable results. Defended provider of managed care health plans in contract disputes and compensation matters. Prevailed in numerous insurance agency, agent and broker professional liability actions. Resolved litigation against major clinical testing laboratory in claims related to breach of contract and unfair trade practices. Successfully defended numerous law firms and attorneys in legal malpractice actions. Represented producers and performers related to contract disputes. Pursued claims on behalf of shareholders related to the formation and subsequent breach of equity agreements. Negotiated favorable agreements on behalf of multinational private equity, alternative asset management and financial services corporation in real estate matters. Litigated breach of contract claims on behalf of national restoration, reconstruction, and technical services company. "Fla. Lawmakers Propose New Law to Address Companies’ Increasing Use of Biometrics," Daily Business Review (April 1, 2019). "What Makes A Cyber Data Breach So Expensive?," Corporate Compliance Insights, (December 18, 2018). "Virtual Reality Goes on Trial," Communications of the ACM, (November 29, 2018). "‘Privacy’ Doesn’t Equal ‘Security’: The Importance of Knowing the Difference," Corporate Compliance Insights, (November 21, 2018). "Professional Liability in Information Technology," IT Business Net, (October 11, 2018). "Computer fraud insurance in the cyberage," Thomson Reuters Westlaw Journal Insurance, (July 13, 2018). "Cyberclaims and litigation against insurance professionals," Thomson Reuters Westlaw Journal Insurance Coverage, (March 2, 2018). "Odd Laws Governing the Military," Hillsborough County Bar Association Lawyer Magazine, (August 2015). 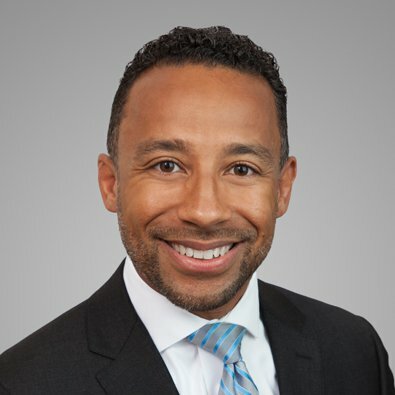 Presenter, "Living in the Cyber-Age: Hackers, Computer Fraud Insurance, and Litigation," Florida Defense Lawyers Association Annual Meeting (September 15, 2018). Panelist, “The Changing Landscape of Professional Liability," Association for Corporate Growth Tampa (May 2, 2018). Robert A. Stines, who serves on the board for the annual Gasparilla International Film Festival in Tampa Bay, Fla., previewed the event during an appearance on the morning news program on WTSP-TV, the St. Petersburg/Tampa CBS affiliate station, on March 21, 2019. Robert will present "Living in the Cyber Age – Hackers, Computer Fraud Insurance, and Litigation." Stines to Serve as Panelist at Association for Corporate Growth Tampa Breakfast: “The Changing Landscape of Professional Liability"